Daphne @ Wesley Primary School: ALL ABOUT ME!!!!!!!! Amazing blog and a big smile daphne! Nice blog Daphne. Just make sure that you tell a bit more about yourself. Just checking, Are you sure "your puppy" or My puppy. Nice Photo daphne thanks for telling me about you! Hi Daphne! 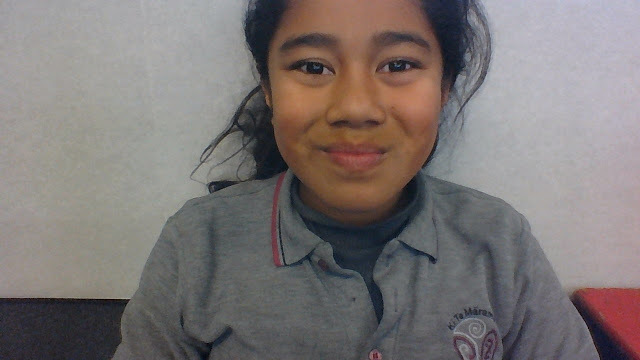 I'm Olivet from Papakura Central school. I like how you told us what you like, but maybe next time you should add a bit more about yourself. Something like, what you like to do in your spare time, or write down about your feelings and attitude. Apart from that, everything is great! Hope to see more posts from you!